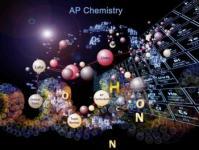 The Pre-AP Chemistry course is an honors level course which provides an in depth overview of chemical concepts. This is a fast paced course requiring outside class study time. 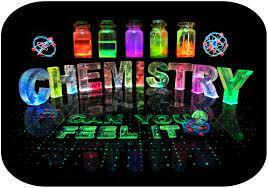 Chemistry – the study of matter and energy and more importantly, the changes between them. Why study chemistry? When a car starts do you think about chemistry? When a battery in your cell phone dies do you think about chemistry? In fact, the food you eat for lunch provides energy, through chemical reactions, and you are able to read these sentences and comprehend them because of chemical reactions occurring in your brain. Did you know the theory that a huge meteor hit the earth 65 billion years ago, causing the extinction of the dinosaurs, was first recognized as a plausible explanation by chemists, who noticed that rocks from that time period contained amounts of the elements iridium (Ir) and niobium (Nb) that are seen only in meteors. If the Roman’s had understood lead-poisoning, their civilization would not have fallen. All of these ideas can be understood with a basic foundation in chemistry. Chemistry is around you all the time; you encounter chemistry every waking moment of your life, whether you recognize it or not. A large part of chemistry is constantly asking “why?” things happen. You will become a better problem solver in all areas of your life and better understand all areas of science. The material in this course must be studied and learned daily as it is presented, because the units build upon one another. If a student does not understand a concept, he or she should see me as soon as possible. Pre-AP should NEVER have zeroes!